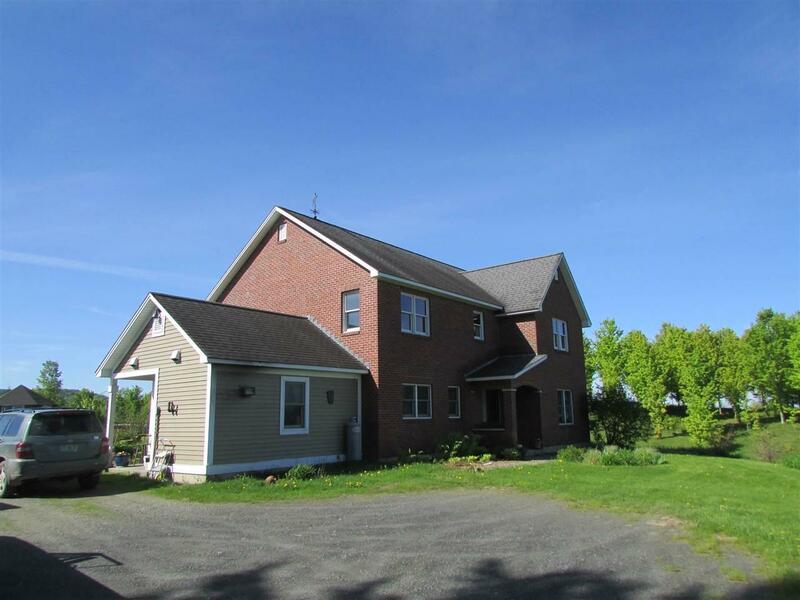 Well cared for 2 story brick home on 33.1 acres. One of 2 brick homes in town. 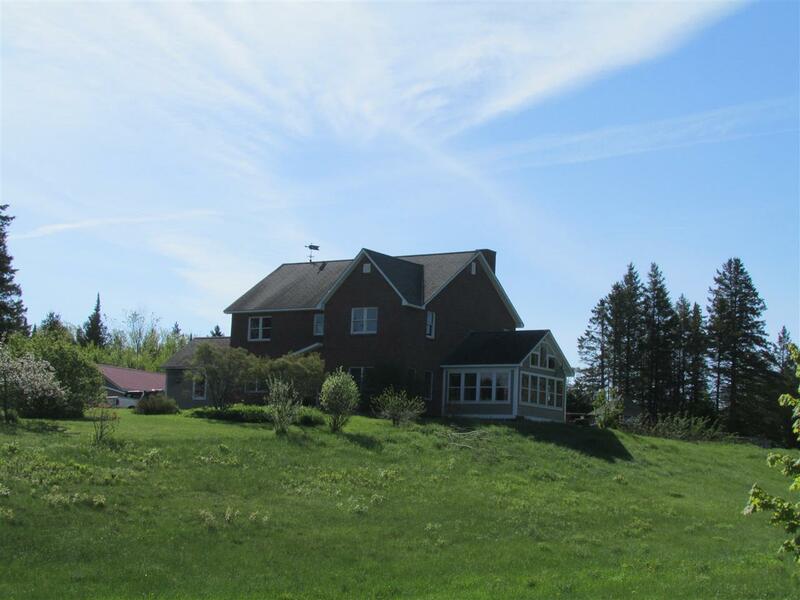 Built in 1990 with radiant heat on first floor. Enter large tile mudroom with separate utility/laundry room. Next is a tile floor country kitchen facing the view and very large dining living area. Exposed staircase dividing kitchen dining area and living room w/fireplace. A short hall to formal front entry, full bath with claw tub and treadle sewing machine vanity with sink. Lovely. Front den facing westerly mountain view with French doors. Beautiful sun room on southwest side of house. Not heated but well sited and used much of the year. Second Floor has hardwood staircase and hardwood floor hallway. 4 bedrooms each with a closet. two with bamboo floors, 2 with laminate. Large 3/4 bath with tile floor. Seller built a large workshop/storage building of which 1/2 is insulated with wood stove hook up. A second small shed with wood shed addition, and a geodesic dome animal shelter with small fenced yard. 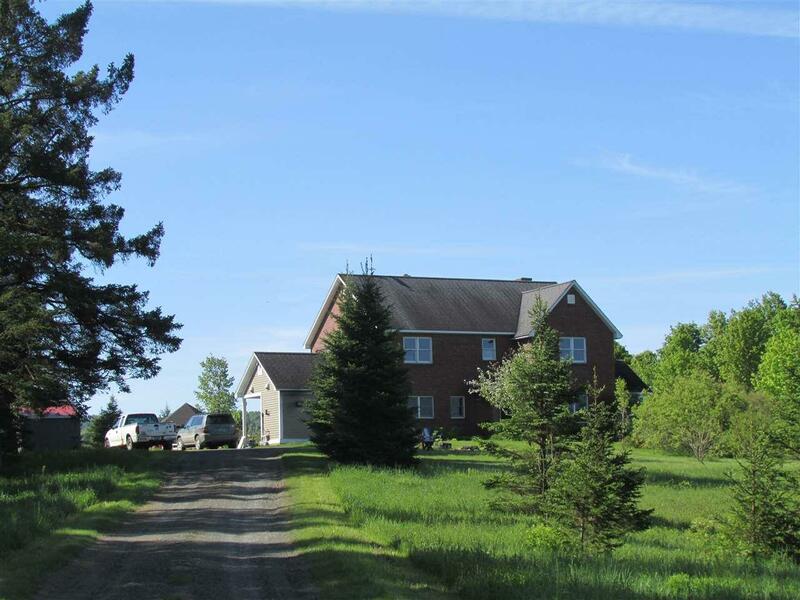 The land is located in both Craftsbury and Glover. 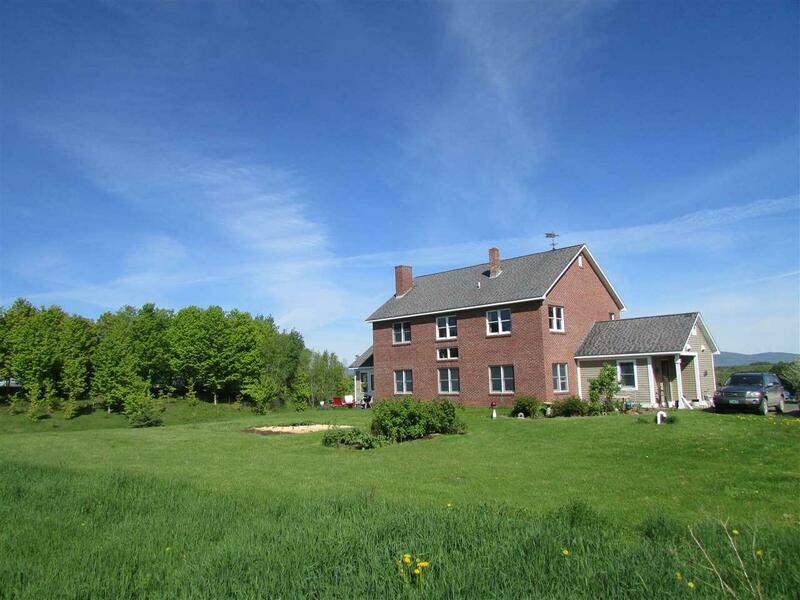 The house and 4.3 acres in Craftsbury. The area both east and west are open around the house with some trees and landscaping bushes surrounding. The remainder is a mix of soft and hardwoods. This is a lovely site and a very handsome home. The owner chooses to heat with wood primarily and uses approx. 4 cords and 500 gal of oil. One of the best homestead options in the area. Come take a look.